There are passwords for everything. Logging into a computer requires a password, logging into a billing program requires a password, and logging into practically every website from banking to score checking requires a user to create this supposedly unique layer of protection for their data. While the response to such a call for creative letter grouping is often apathetic simplicity, strong passwords are a convention one should follow. 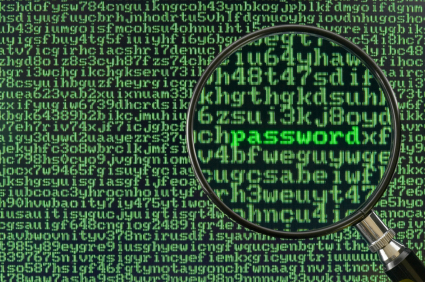 A password is the most fundamental level of defense against hackers. Even with the most sophisticated antivirus software available, no firewall will restrict the actions of what it sees as the “user” which in essence can give anyone with access to the user’s password the same control over the computer the legitimate owner has. Don’t make passwords under 6 characters. They are too easy to find through a code breaking program! Use case sensativity and numbers. The difference between a password in all lowercase and a password with varying cases and numbers is how much longer it would take a hacker to break it. Numbers and case variations are an easy way to keep your information secure. Don’t use the same password for everything. It may seem tempting to memorize one password and put it in for every requirement, but if a hacker figures it out at one level, they will likely try to use that same password for every other application. Try changing a sentence into a password. The sentence “My dog’s names are Buddy & Spot” which can be easily remembered can be used as the password “MdnaB&S”. Try replacing addresses, birthdays, or important places with symbols and numbers. Instead of “oakstreet”, a secure password could be “o@kstr33t” . Try typing a phrase a row up on the keyboard. Instead of “password”, the result would be “0qww294e”.